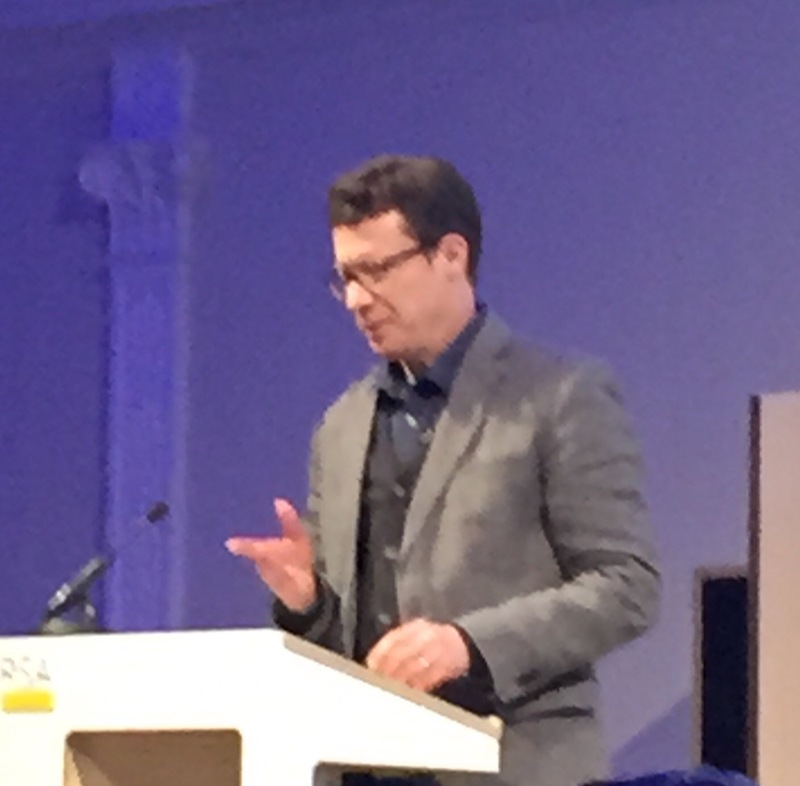 Matthew Crawford, speaking at the RSA today, called for the recognition of an “Attentional Commons” which would be on a par with the right to privacy. He said all humans deserved the absence of noise as a basic human right, the right “not to be addressed”. We might give this up willingly sometimes – for instance when talking to friends – but being addressed in a mechanistic manner is, he says, another thing. We are hard wired to pay attention to new things, he says. Our ancestors would have found this very valuable – is that rustle in the bushes a python? This is the reason it is almost impossible not to look at a TV when it is switched on. There is a new frontier of capitalism – digging up and monetising every scrap of attention we have left. The fields of view that haven’t been captured by commerce are getting fewer and fewer. Silence is a now a luxury good, he argues. Think about the business class lounge in an airport. It’s the silence that makes it feel luxurious, he says. Those people coming up with the inventive marketing ideas are doing it in the silence of the business class lounge. You almost have to be a comedian to wrap your head around much of modern life. Western society is obsessed by the notion of personal freedom. Those bombarding us with all these choices are presenting themselves as supporting freedom, he says. But this has the effect of ratcheting up costs of self-regulation. The question is against this barrage can one maintain a coherent self? The word “attention” is based on a Latin root meaning to stretch. And here lies a clue to the solution. We need to find “ecologies of attention”. These are pursuits like cooking a difficult meal, playing music, sports, making things, fixing things, or learning a language. It is the encounter between the self and something structured and other – “unselfing” as Iris Murdoch calls it. Jazz improvisation is the perfect example of the ecology of attention – the musicians are all attending to each other, alert and opportunistic. Out of this process comes fulfilment, in losing yourself, becoming part of a community. The Important thing is not to guard independence but to become skilled which creates what Crawford calls the “earned independence of judgement”.